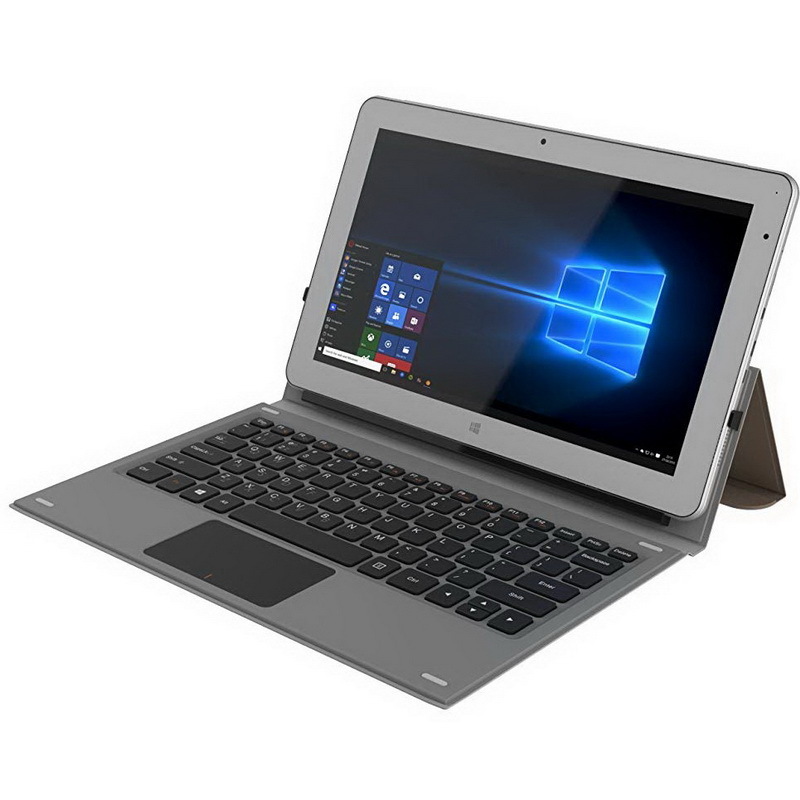 The JME 2-in-1 X512BS 11.6" Tablet, free bundled with the silver keyboard Folio, is much more solid and portable than other tablets and even laptops. The JME 2-in-1 boasts a 4GB EMMC memory capacity compared to the 2GB competitors, it is compatible for all your favorite games such as Hearthstone: Heroes of Warcraft™. We strive to provide the best performance in our tablets. Within our Tablet is a 8500mAh battery UN38.3 Certified to provide a long and safe battery life. 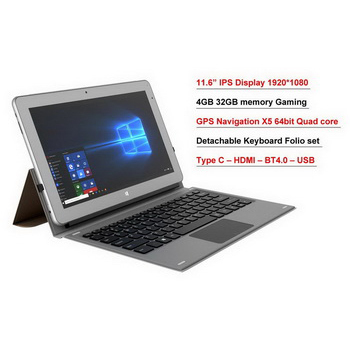 The Tablet PC is less than 1/2 " thick & weighs 3.12 lbs it is both portable and durable. 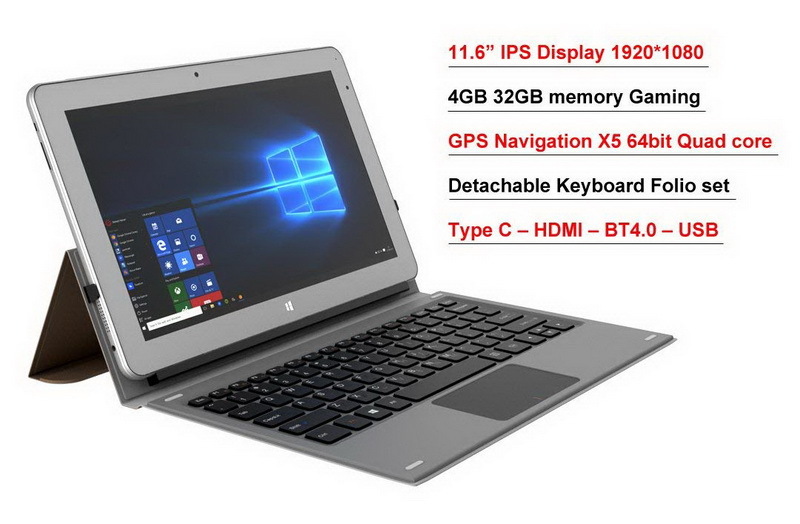 The JME 2-in-1 X512BS mobile Tablet is equipped with an ultra fast Intel® CherryTrail Z8350 processor as well as a capacitive Multi-Touch IPS Screen, and Micro USB*1 Micro HDMI*1 Type C*1 + Windows 10 OS. 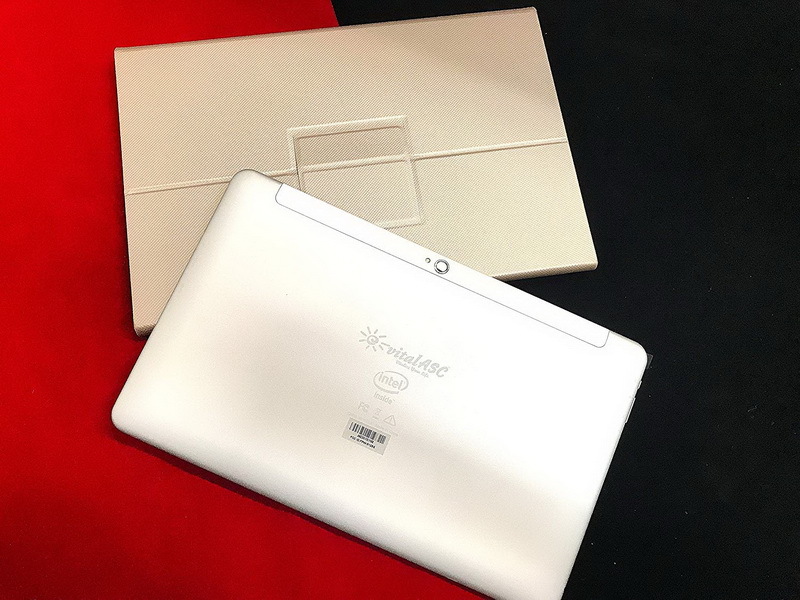 The JME 2-in-1 X512BS 11.6" Tablet keeps you connected through its built-in WiFi and fast connectivity. 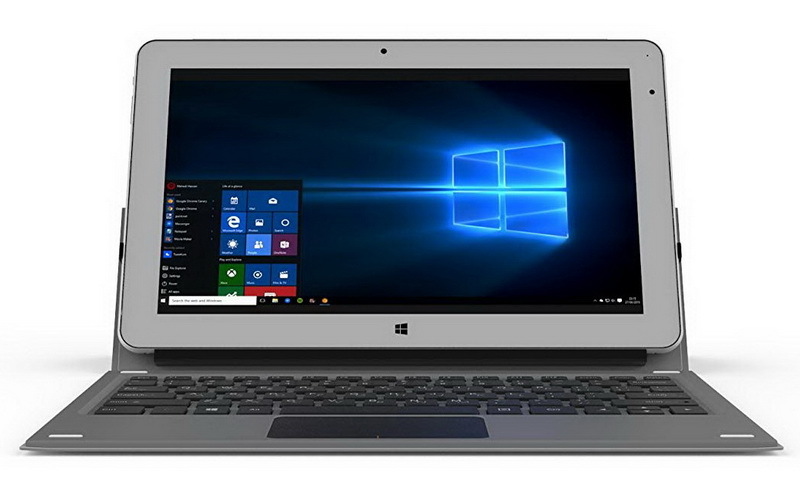 The Windows 10 operating system supports all the latest applications and features. Now you can enjoy your favorite videos/movies, music and photos on the 11.6" IPS screen. Even more, you can download and enjoy popular apps and games from the pre-loaded Windows App store. It features Dual cameras for high quality pictures or webcam use on Skype or other video chats. 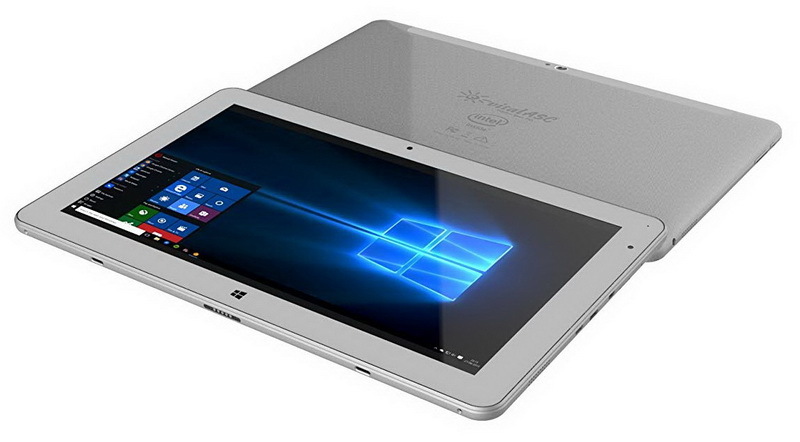 Try on the JME 2in1 X512BS 11.6" Tablet today . 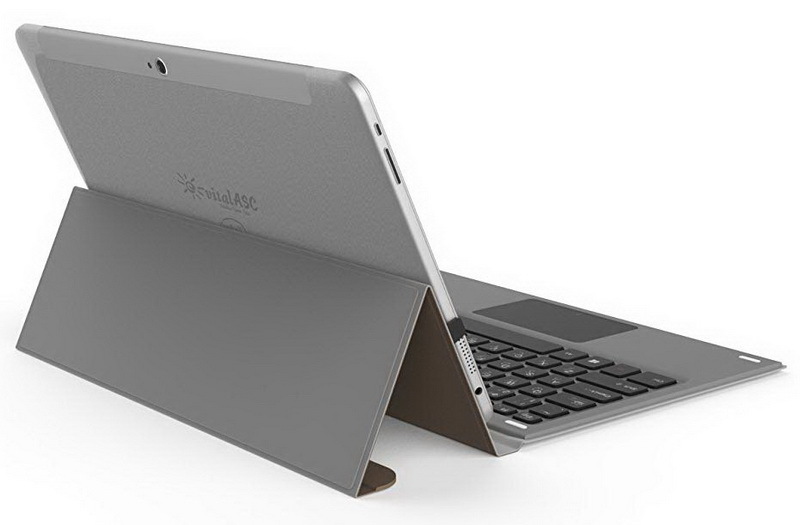 Magnesium Alloy body with detachable keyboard docking , 8500mAh battery UN38.3 Certified .